Rock-A-Doodle - Blu-ray Review - ReDVDit! 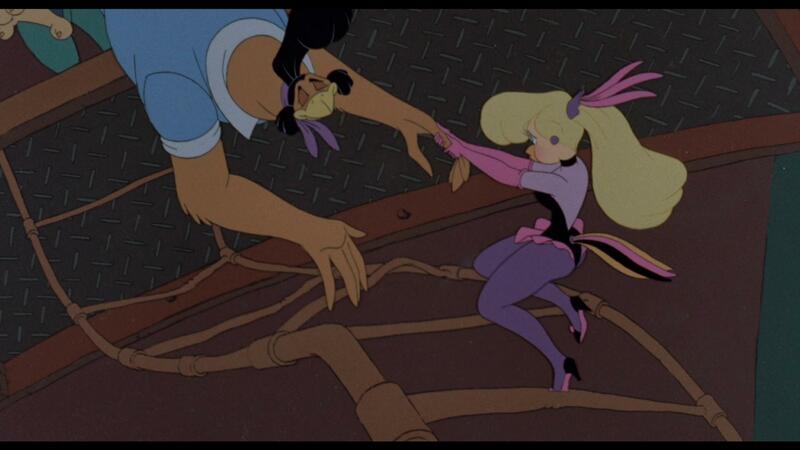 Rock-a-Doodle is a 1991 live-action/animated musical comedy film that is loosely based on Edmond Rostand’s comedy Chantecler. 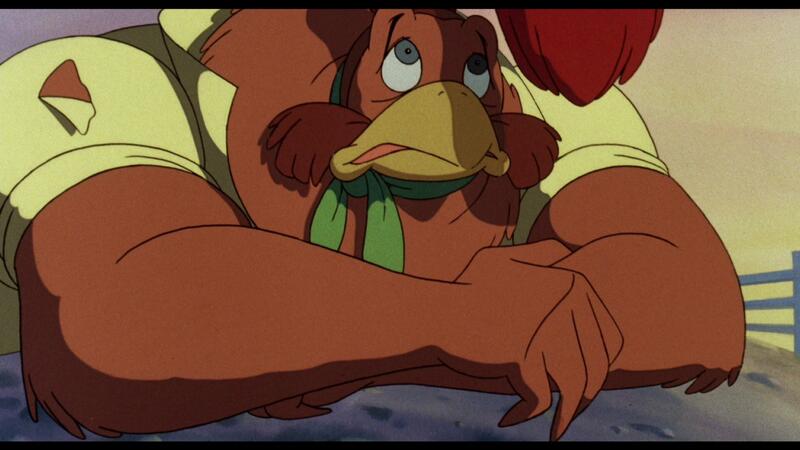 Directed by Don Bluth and written by David N. Weiss, Rock-a-Doodle is an Irish, British, and American venture that was produced by Sullivan Bluth Studios and Goldcrest Films. The film features the voices of Glen Campbell, Christopher Plummer, Phil Harris (in his final role before his retirement and death), Charles Nelson Reilly, Sorrel Brooke, Sandy Duncan, Eddie Deezen, Ellen Greene, and Toby Scott Granger in his film debut. 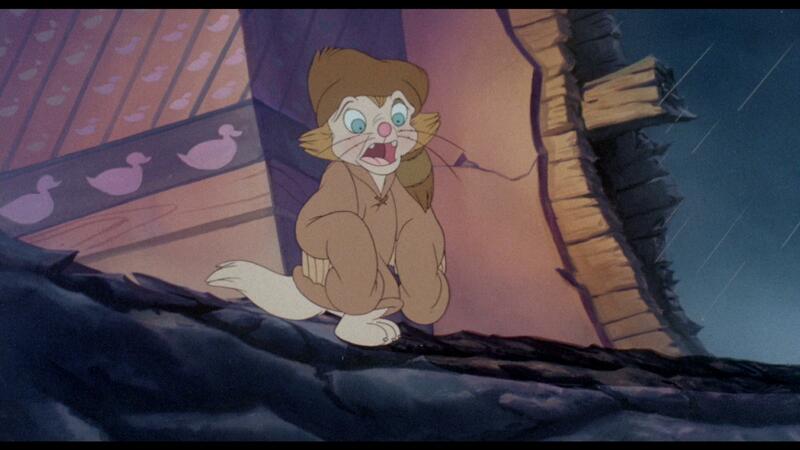 The film was released in the United Kingdom on August 2, 1991, and in the United States on April 3, 1992. 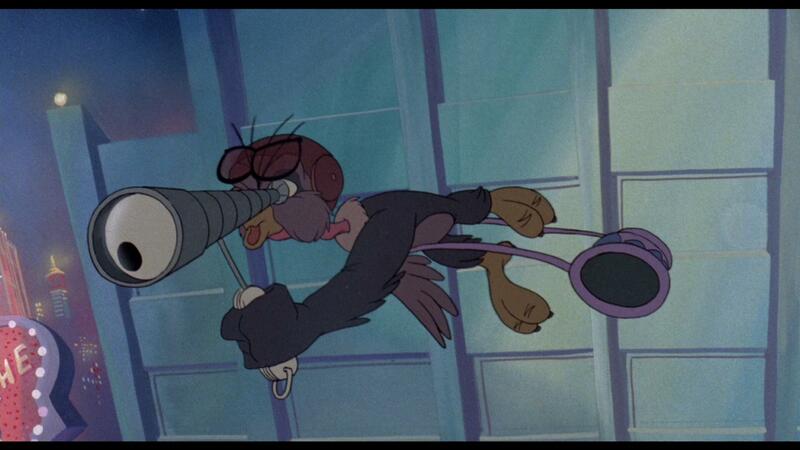 The film takes place in the 1950s, where an anthropomorphic rooster named Chanticleer (whose special crow literally causes the sun to rise every morning) had left the farm to become a rock star in the city. Without him, rain continues to pour non-stop, causing a massive flood all over the country. The evil Grand Duke of Owls and his birds-of-prey henchmen take over in the darkness. Chanticleer’s barnyard friends, along with Edmond, a young boy who had been transformed into a kitten by the Duke, take of on a mission to get Chanticleer to bring back the sun and save the country. 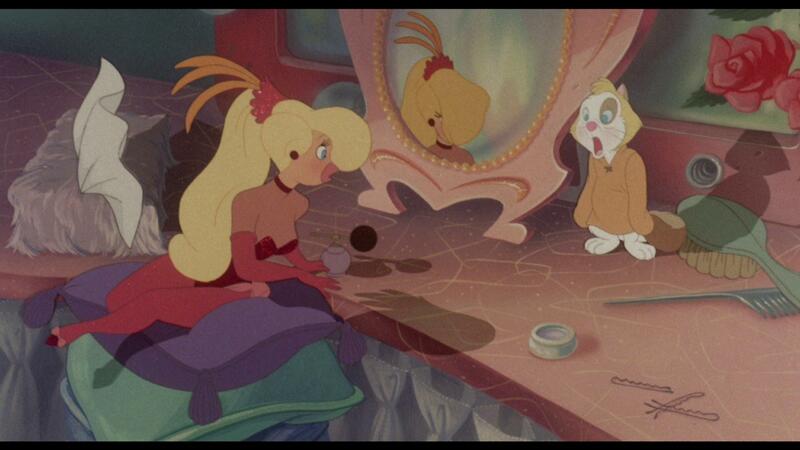 Rock-a-Doodle is an animated film that I had personally grown up with throughout my childhood. I’m not completely sure of exactly why I’ve loved this film since my youth, but as soon as I saw that Olive Films was releasing this to Blu-ray, I was beyond ecstatic. 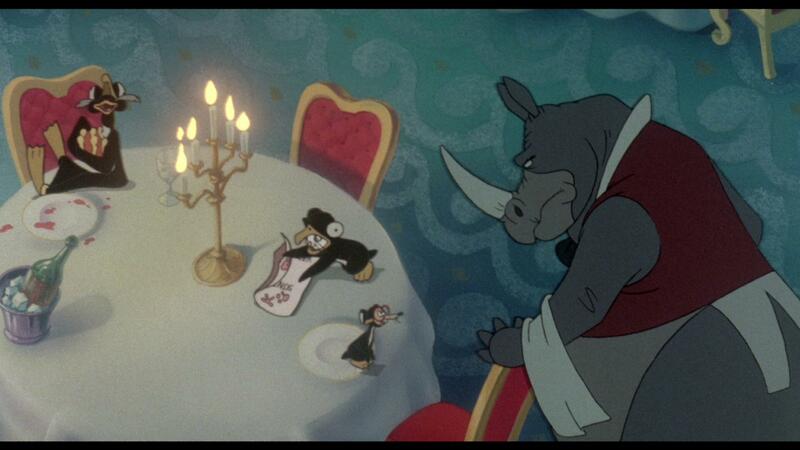 The film itself is a good natured, innocent kids film that I feel should be viewed at least once by every child today. Maybe it was the slight fantasy adventure that took place, or the slight struggle that the characters go through as they try to get Chanticleer to return to the farm (with a slight hint towards the average day to day life struggles), this movie is one that I will probably love for the rest of my life. Offering a completely new and remastered video presentation, Rock-a-Doodle looked absolutely beautiful as it played out on my living room television. With it not only having a much cleaner visual display, despite the additional work that went into making this movie available on Blu-ray, the folks over at Olive Films were able to maintain that sense of originality that this movie had when it first came out in the early 90s. While maintaining that aged display, the colors looked significantly cleaner, and animation lines much, much sharper, this release is definitely one to be had, especially if you grew up with this movie. Packaged with an English Stereo audio track, Rock-a-Doodle makes absolutely every effort to offer an original feel, just like the earlier VHS and Laserdisc releases of this film. While the audio track is not nearly as immersive as it could have been, it was really nicely done and offered a clean and clear audible experience for my wife and I. I do wish, however, that there would’ve at least been an optional 5.1 audio track included on this Blu-ray so that we could have felt more in the middle of everything, and allowing various elements like the storm to really stand out. Rock-a-Doodle comes packaged in your standard single disc Blu-ray amaray case. Within that case is the standard Blu-ray copy of the film. The disc art itself, while not containing any character pieces, does use the same title font that’s used on the case art, allowing it to stand out from your typical release. There is no DVD copy of the film included, nor are there any digital copy redemption pamphlets. 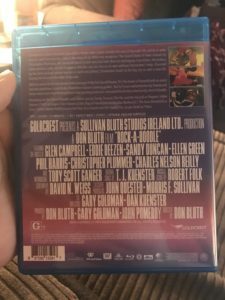 There is no slipcover provided with this release. 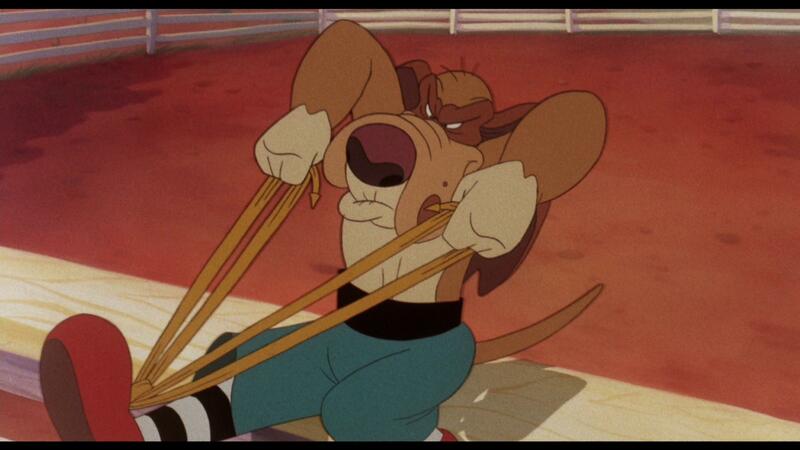 Unfortunately, the Blu-ray release of Rock-a-Doodle is pretty barebones in terms of additional content. The only item that’s been provided is the theatrical trailer for the movie. I really wish that there would’ve been more included due to my personal connection with this film, but the lack of additional content is something that is standard with releases from Olive Films. 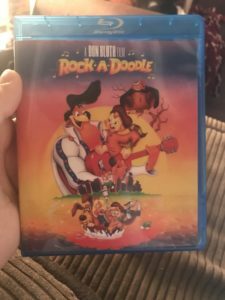 As soon as the Blu-ray announcement for Rock-a-Doodle came out, I knew that I wanted to get this film for my personal collection. Having grown up with this movie, and the desire to upgrade my personal DVD copy of the film, I was beyond excited for this release. The story that we’re given with this movie is one that is directed toward younger audiences, and is started off with a pretty solid foundation and is maintained very well as the movie progresses. The overall visual and audible presentation of this Blu-ray release was much cleaner than the earlier releases of the film, and you can tell that Olive Films put a lot of great work into making this release available. My only personal wish is that it would’ve come packaged with an optional 5.1 audio track to offer a more immersive experience for viewers. There really isn’t much in terms of additional content included on this release, however that is common among Olive Films releases. If you’re considering grabbing this film for your personal collection, I would without a doubt recommend it. Especially if you have children of your own or even if you grew up with it, this is one great addition for your personal library. Rock-a-Doodle is available now!